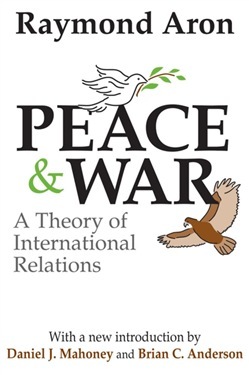 Peace and War by Raymond Aron is one of the greatest books ever written on international relations. Aron's starting point is the state of nature that exists between nations, a condition that differs essentially from the civil state that holds within political communities. Ever keeping this brute fact about the life of nations in mind and ranging widely over political history and many disciplines, Aron develops the essential analytical tools to enable us to think clearly about the stakes and possibilities of international relations. In his first section, "Theory," Aron shows that, while international relations can be mapped, and probabilities discerned, no closed, global "science" of international relations is anything more than a mirage. In the second part, "Sociology," Aron studies the many ways various subpolitical forces influence foreign policy. He emphasizes that no rigorous determinism is at work: politics—and thus the need for prudent statesmanship—are inescapable in international relations. In part three, "History," Aron offers a magisterial survey of the twentieth century. He looks at key developments that have had an impact on foreign policy and the emergence of what he calls "universal history," which brings far-flung peoples into regular contact for the first time. In a final section, "Praxeology," Aron articulates a normative theory of international relations that rejects both the bleak vision of the Machiavellians, who hold that any means are legitimate, and the naivete of the idealists, who think foreign policy can be overcome. 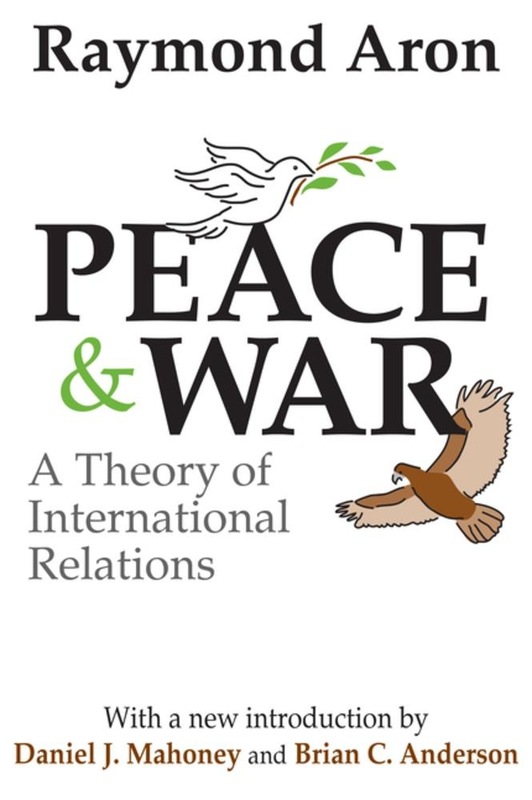 This new edition of Peace and War includes an informative introduction by Daniel J. Mahoney and Brian C. Anderson, situating Aron's thought in a new post-Cold War context, and evaluating his contribution to the study of politics and international relations. Acquista Peace and War in Epub: dopo aver letto l’ebook Peace and War di Paul Thompson ti invitiamo a lasciarci una Recensione qui sotto: sarà utile agli utenti che non abbiano ancora letto questo libro e che vogliano avere delle opinioni altrui. L’opinione su di un libro è molto soggettiva e per questo leggere eventuali recensioni negative non ci dovrà frenare dall’acquisto, anzi dovrà spingerci ad acquistare il libro in fretta per poter dire la nostra ed eventualmente smentire quanto commentato da altri, contribuendo ad arricchire più possibile i commenti e dare sempre più spunti di confronto al pubblico online.